What is the Weight Limit of the Wii Balance Board? The Wii Balance Board took the gaming world by storm when it was first released. It built upon the Wii's motion sensing experience to add weight and balance feedback to gaming. The balance board has been described as weighing as accurately as any high-end bathroom scale, or even more so. Equipped with four pressure sensors, the board can measure shifts in balance as small as a 500 gram difference. 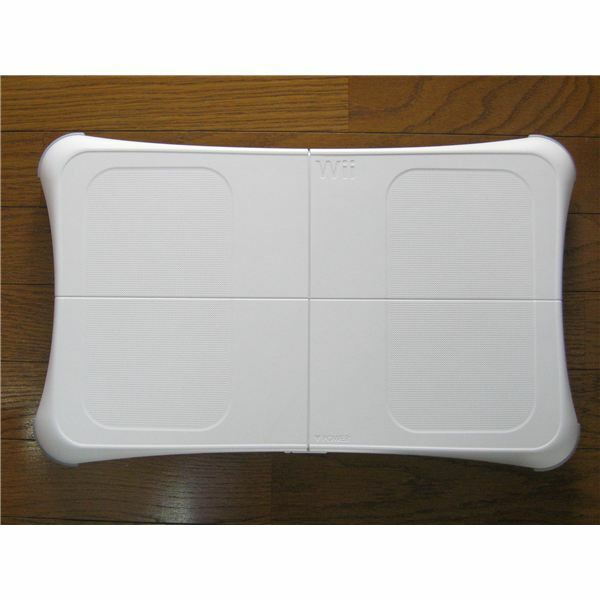 The balance board sold with Wii Fit Plus in Japan states that it can support up to 136 kilograms, or 300 pounds. The balance board sold in the United States, Europe, and Australia is advertised with a maximum weight limit of 150 kilograms, or about 330 pounds. Which packaging is correct, the Japanese or the US/UK/AUS version? In fact, both are. They are all the same balance board, just sold with different labeling. This has led to some confusion, especially because, before the Wii Fit's original release, promotional information indicated that the limit was indeed just 136 kilograms across the board. Thus it entered popular consciousness that the Wii balance board weight limit was 300 pounds. 330 pounds = the Wii balance board weight limit. As with all weight-bearing devices, the Wii balance board weight limit can actually support more weight than advertised — up to about 300 kilograms, or 660 pounds. However, that's the upper limit, and keep in mind that that does not include any extra stresses like bouncing or walking on the board. Any movement on the board exerts forces much higher than the physical weight on the board itself. Thus, while the board itself can hold much more weight than advertised, the advertised weight limit is likely a sensible one taking into account stresses that will be put upon the board. This limit has led to accusations that the Wii balance board and accompanying software, Wii Fit Plus, disenfranchise the very demographic they're aimed at: the obese. While some of the Wii Fit's exercises can be used by the already-fit for a workout, the majority of the Wii Fit's minigames are low impact, short, and approachable by those who are heavier or out of shape. In conclusion, if you're over the weight limit of 330 pounds or 150 kilograms, hang in there in hopes of Nintendo someday releasing a higher weight-rated board, and in the meantime try any of the many other excellent games for the Wii that don't require the balance board. On the other hand, you're in luck if you weigh under 330 pounds. The Wii balance board's software will register your presence and allow you to play Wii Fit and other games using it, such as Gold's Gym Cardio Workout, Mario & Sonic at the Olympic Winter Games, or We Ski and Snowboard. Either way, the Wii is a fun, active experience that can be enjoyed by all. Nintendo and Wii U Games: Is the New System Worth All the Hype? Is the Wii Remote Plus Worth Buying? The Black Nintendo Wii Console, Is it Coming to America?